Cori is a board-certified physician assistant. She became physician assistant because she wanted to be part of a healthcare team, working with physicians to diagnose and treat patients. She enjoys listening to patients and helping them meet their healthcare needs. Her patients benefit from her nurturing personality and kind approach. She says, “I’ve always understood that people need to be nurtured while their ailments are being treated.” Her goal is to build relationships with her patients to develop trust and build confidence, leading to better overall care and outcomes. Cori conducts physical exams, diagnoses and treats illnesses, orders and interprets tests, provides patient education and assists the physicians in the practice in a number of other ways. She assists in surgery, writes medical orders, performs evaluations on patients who are in the hospital and writes prescriptions. To stay abreast of emerging medical advances, she earns 100 hours of continuing medical education every two years and is re-certified every six years. Nicki graduated with a bachelor’s degree in biology, concentrating in allied health. She received a certificate in physician assistant science from St. Francis College before joining OIP in 2010. 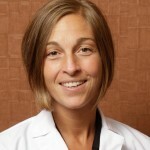 Nicki is NCCPA board certified and is a member of the Society of Emergency Medicine Physician Assistants and American Society of Physician Assistants. She has been affiliated with Pinnacle Health Services since 1999 and was employed by the Cumberland Valley Pain Clinic from 2007 through 2010. Nicki lives in Carlisle with her husband and three children. She enjoys running, golf and visiting Disney World. Jesse graduated from Penn College in 2013. 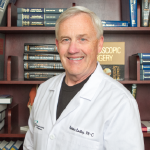 He is a board-certified physician assistant and has been working in orthopedics since 2013. He specializes in acute and chronic foot and ankle issues. Before that, he served 4 years as a United States Navy corpsman. He enjoys mountain biking, archery, and watching Pittsburgh hockey or football. He loves spending time with his wife and 3 children. Clean healthy home cooked meals and exercise are some of his favorite things in life. 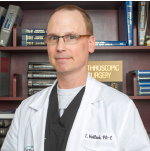 David was born and raised in Harrisburg, PA and graduated from Kings College in 1994 with a Bachelors of Science degree in Physician Assistant studies. 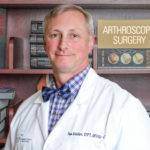 He has been a NCCPA board certified Physician Assistant affiliated with Pinnacle Health’s emergency department since 1995, where he has a special interest in urgent care and treating orthopedic injuries. He started working for Orthopedic Institute of PA June 2015 to further pursue his interest in orthopedics. David is passionate about traveling with his wife and 2 kids outside the U.S. He was fortunate to have lived in China for 5 yrs. During his free time David loves playing racquetball, and watching his 2 kids play soccer and tennis. Kathy graduated from the University Scholars Program at The Pennsylvania State University where she studied both microbiology and English literature. She completed her physician assistant requirements at Penn State College of Medicine before joining OIP in 2006. Kathy spent six years working in emergency and trauma at the Harrisburg Hospital. 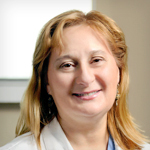 She worked in outpatient, inpatient and emergency orthopedics for the last 17 years and currently works in conjunction with all of the OIP surgeons. Kathy lives on a farm in Wellsville with her husband, daughter and the family dog, cat and horse. Natalie graduated from Pennsylvania College of Technology, where she earned her Bachelor of Science degree. 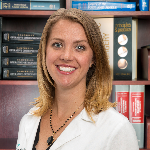 A NCCPA board certified physician assistant since 2008, Natalie joined OIP in 2014 pursuing her passion for orthopedic medicine. 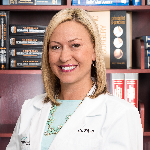 Natalie is affiliated with the Pennsylvania Society of Physician Assistants, and American Academy of Physician Assistants. Natalie resides in Etters, with her husband and three daughters. She enjoys running, exercising, cheering on her daughter’s athletics, watching her husband race motocross, and being a mom. Duane has a special interest in urgent care and orthopedics. Duane has his bachelors in biology from King’s College. Duane is NCCPA certified and a member of the American Association of Physician Assistants, Pennsylvania Society of Physician Assistants, and the Society of Emergency Medicine Physician Assistants. He has worked at Holy Spirit Hospital, Pinnacle Health Hospital, Carlisle Hospital and Evangelical Community Hospital. Duane resides in Millersburg with his wife Kimberly and their children. He enjoys the outdoors, cooking and traveling. Ken has special interest in orthopedic urgent care and sports medicine. 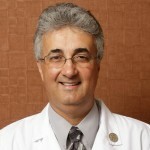 He did his undergrad work at The Pennsylvania State University and graduated from Penn State College of Medicine. Ken is NCCPA Board Certified and is a member of the Society of Physician Assistants. He was previously employed by Messena Memorial Hospital in upstate NY as a Physician Assistant. 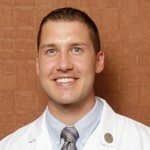 He is also affiliated with Pinnacle Health System as a Physician Assistant. Ken lives with his lovely wife Jody “an accomplished MRI technologist” and 3 feline friends. He enjoys participating in golf, walking, and skiing. He is an avid fan of many sports. Tom works in our pain management department performing history and physical examinations prior to procedures. He also performs post-procedure follow-ups and reevaluations for the pain management team. He is also one of our orthopedic injury clinic providers. Tom comes to us after retiring from the military as a Commander in the U.S. Navy. He joined OIP in 2016. He graduated from Creighton University in 1998, a doctor to physical therapy degree and is a licensed physical therapist. He graduated from Easter Virginia medical school in 2004 with a master’s degree as a physician’s assistant. He continues to hold licensure in both physical therapy and as a physician’s assistant. Tom has over 20 years experience in the evaluation and treatment of musculoskeletal injuries. He has specialized training in evaluation and treatment of Back and neck pain as well as sports medicine. Tom, lives in Gardner’s PA with his wife and 3 dogs. His daughter attends Kutztown University. He is an avid Washington Redskins and Washington Nationals fan. Jacob has a special interest in general Orthopedics. Jacob went to Brigham Young University Idaho for his undergraduate in Biology 2006, Holy Spirit hospital radiology technology school 2009, and Drexel University for his Masters in Health Science physician assistant program 2012. 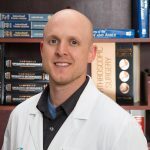 Jacob is a NCCPA board certified physician assistant, a member of the American Academy of Physician Assistants, and Association of Physician Assistants in Cardiothoracic Surgery. Jacob previously worked as a radiology technologist and works in Cardiothoracic surgery, he joined OIP in February 2013. Jacob lives in Mechanicsburg is married with four children, enjoys the outdoors, science, sports, and traveling. "Cori was wonderful with our 11 year old son as well with both of us. She was so positive, timely, down to earth, and patient. He really reacted to her well and she answered all our questions. We were in and out of the walk-in clinic within an hour; which I thought was amazing. I could only wish every visit we take to a dr. would be this enjoyable. I will always come to OIP and never a competitor." "I just wanted to send a note saying what a good job that the employees at OIP are doing. Everyone is very helpful, pleasant, professional, and very caring. I want to let everyone know what a good job they are doing and to keep up the good work. I will recommend OIP to anyone who needs your services."